Don’t wait for an emergency to strike to help us to be able to find you. 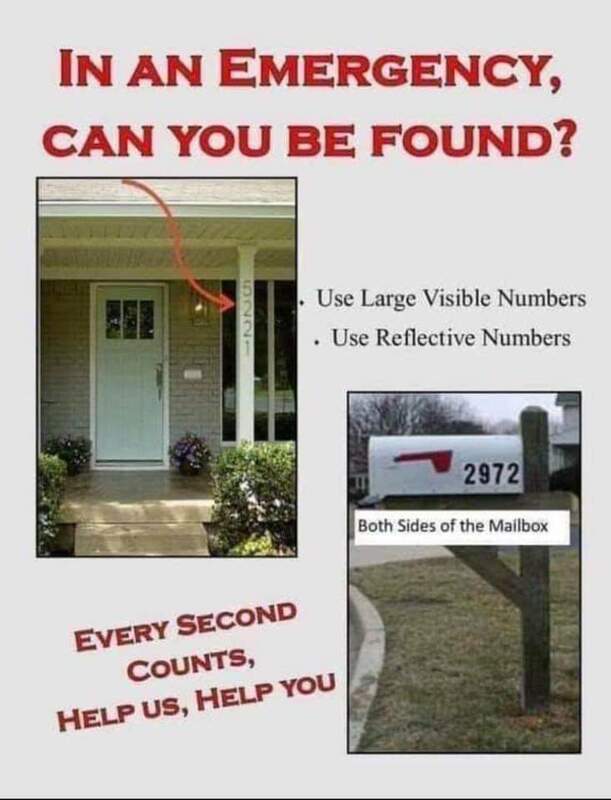 1) Make sure you have both sides of your mailbox marked with highly visible address numbers. 2) Make sure your address is highly visible on the front of your house.